The brand new building is located in Van Cao street, near Quan Ngua stadium. The location is very convenient, walking distance to Lotte Tower, Japanese Embassy, Australian Embassy. The building also offers tenant free cable TV, high speed internet, cleaning and laundry 03 times/week, tap water, security camera 24/7. 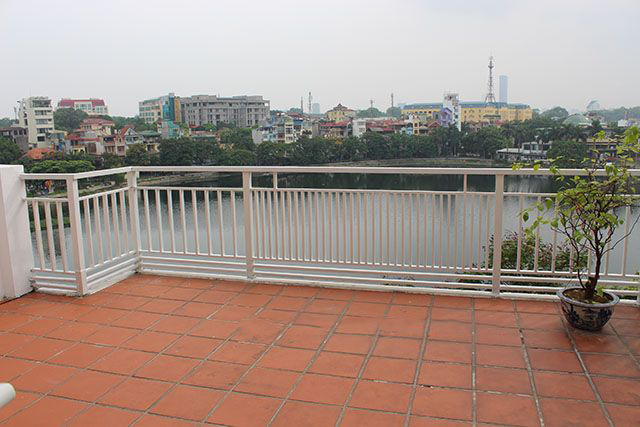 Cheap serviced apartment with 2 bedrooms for rent in Ngoc Khanh street, Ba Dinh, Hanoi. 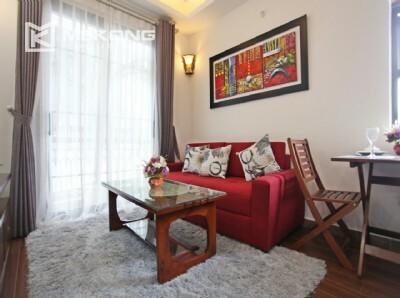 Total living area is 60 sqm, composed of 2 bedrooms, 2 bathrooms with bathtub, a living room combining with a open kitchen. The apartment is has elevator for moving and sercurity 24/24. Fully furnished and well equipped: beds, mattress, air conditioner, fridge, washing machine,.. Price: 500 usd/month Please contact me at 0936 670 899 or huong@bdsmekong.vn for more information.